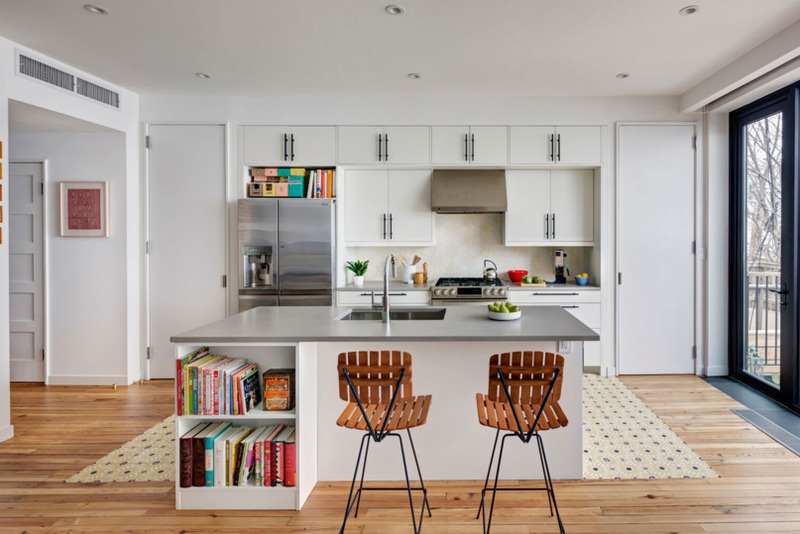 Contemporary, creative and perfectly punctuated with pops of color, the owners of this beautiful kitchen on Windsor Terrace in Brooklyn are both artists and poets. 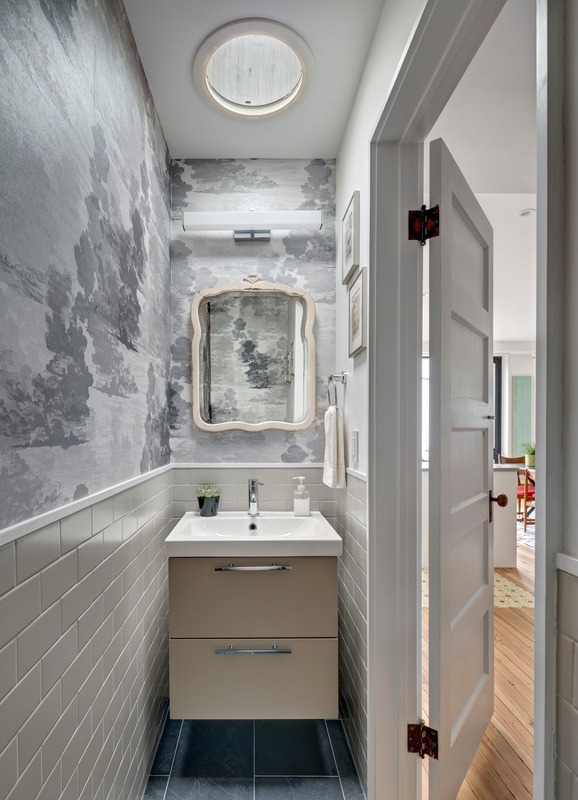 Their requirements were to create a bright, functional home to reflect their artistic personalities - just the kind of brief we love at Semihandmade. The old kitchen was dark and dated but the remodel of the booklover’s concept designed by BFDO Architects opened up the space with floor to ceiling glass and generous open plan living and work areas. The architects also incorporated areas for the clients’ two feline friends. We love the way their presence has been weaved into the design to create both cat free and cat friendly zones. The dingy kitchen was treated to a major overhaul as part of the upgrade, where access to the garden has been made possible via an elegant terrace with steps to the green space outside. A welcoming island topped with a pale grey work surface makes for a dreamy spot to take coffee with the backdrop of the garden beyond. The beating heart of every home, the poets’ crisp white kitchen brings together all their passions in a light and airy space. Their love of prose is expressed in the open shelving/bookcase where favorite books are close to hand and the perfect reading light streams in through the glass terrace doors. There was no going wrong with our clean White Supermatte Slab kitchen doors, which were the perfect choice for our well-versed clients, allowing them to marry light, space and storage in perfect harmony. 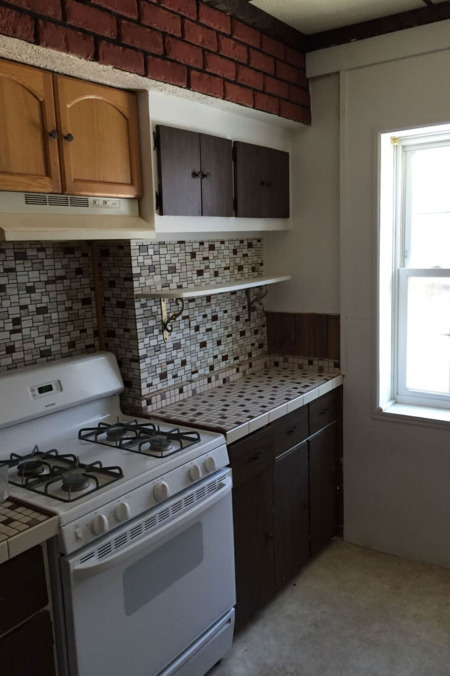 Achieving a “custom look” that flows throughout, our door fronts were used in the kitchen and bathroom units. 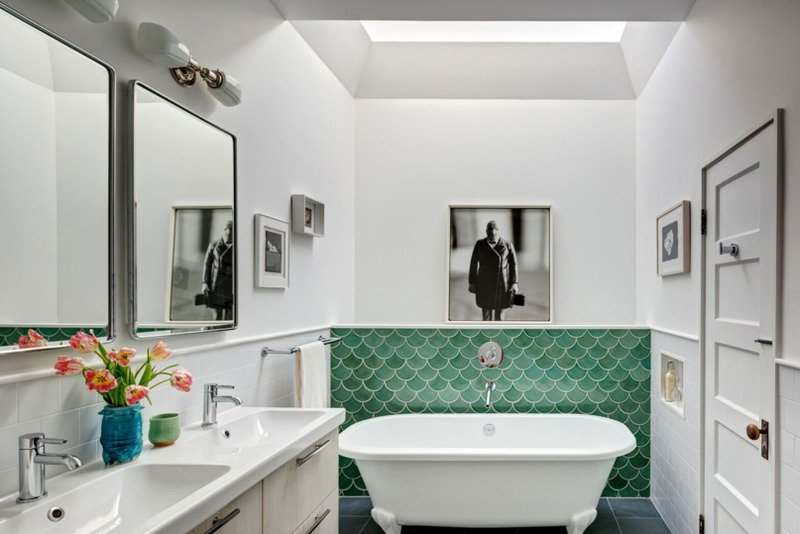 In one washroom, our Beach Impression fronts with vertical grain added natural warmth and beautiful contrast to the green tiling behind the bathtub. And in another restroom, our Clay Supermatte Slab doors were a subtle and welcome contrast to help make the most of the tight constraints of the space. Ordering Semihandmade doors is a straight-forward process and essentially allows clients the freedom to add personality to their chosen IKEA units. Each door is built to ensure a hardwearing surface with an exquisite finish. Completing the look with sleek matte black and polished chrome decorative hardware, the streamlined style of our Semihandmade doors has created the illusion of space throughout the clients’ property. 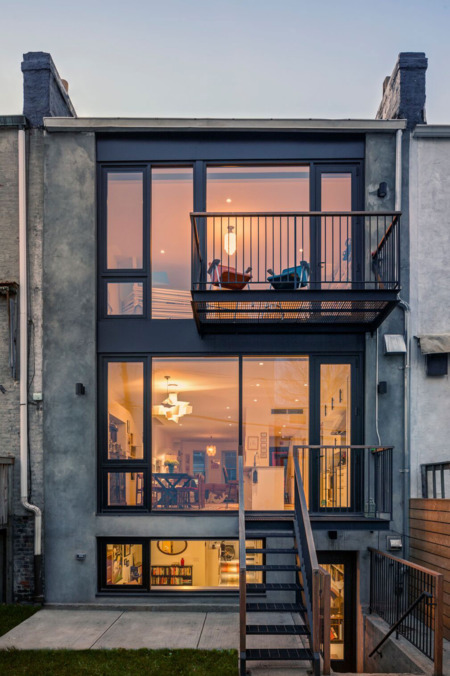 Using an alternative to the standard doors available to them, this stunning Brooklyn terrace has been transformed from a tired, run down house into an uplifting home, truly shared by all who inhabit it. For more info on the styles and materials used, visit our materials page here.